We specialize in historically informed performances of music on the instruments of the Renaissance and Baroque. Blending together 16th, 17th, and 18th century soundscapes with melodies that are notably more recent, we engage a wide variety of audiences. The West Hempstead Consort at "Jack Jack's Coffee House" Photo Credit: Nick Lee - Excellent Coffee here, kudos to Mike. THE WEST HEMPSTEAD CONSORT specializes in unconventional music, unconventional performance venues, and introducing our unconventional instruments to people of this unconventional world. Like us on FaceBook to stay up-to-date with our concerts/events, or CLICK HERE to book one of your very own in a Library, Church, Synagogue, Living Room, Backyard, or somewhere else! 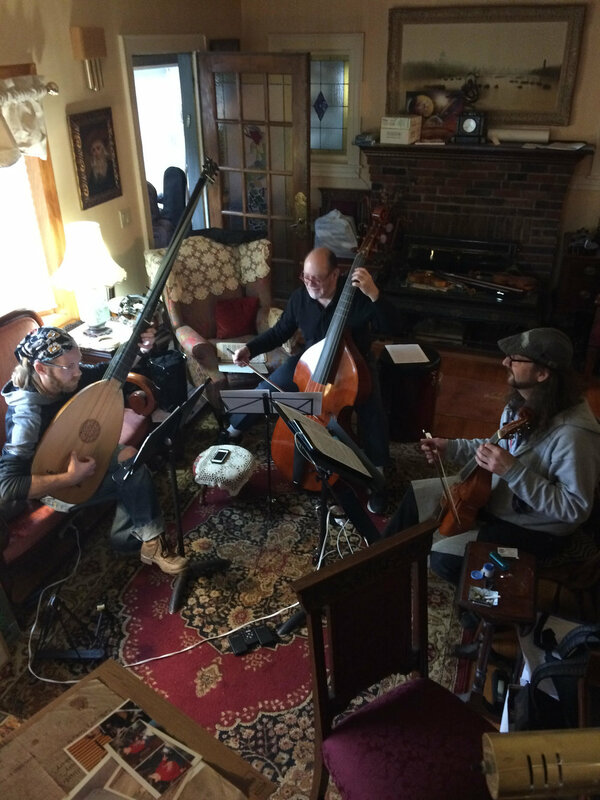 The West Hempstead Consort is a chamber ensemble from West Hempstead, NY, specializing in the demonstration and outreach of early instruments and early instrumental performance. As teachers of the next generation of musicians, co-founders Ryan and Scot, take great pride in this project as they continue to introduce new and various audiences to the surprising parallels between todays music and the music of the 16th, 17th, and 18th centuries. Alongside Hugh, the trio is a tour de force that can perform anything fits on a page. are not afraid of such silly boundaries as 'genre'. WHC enjoys working along side extra-musical mediums such as poetry, painting, dancing, speaking, or acting. 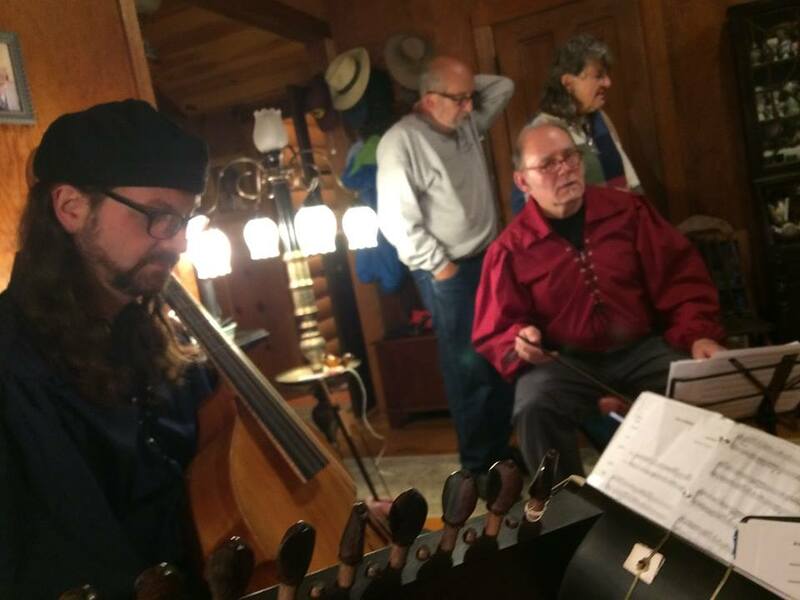 Their enthusiasm to share music with the world has turned heads in new directions by performing formal music in informal locations such as; coffee houses, bars, sidewalks, backyard barbecues, libraries, and bookstores. Student participation is an integral part of their choice in repertoire. By pairing the interests of the students, with the appropriate historical equivalent, the consort is able to impart a variety of expressions towards any affect of the budding singer/songwriter/performer. The students are also given the opportunity to work with soloists; by accompanying a singer, dancer, or poet, students learn exactly what it means to 'fill out' a harmony or give a chord a certain color. Students do also get the opportunity to touch and play these historical instruments throughout the course of lessons, as well as in concert! Above all else,.... we have fun!